And she responded with kindness. 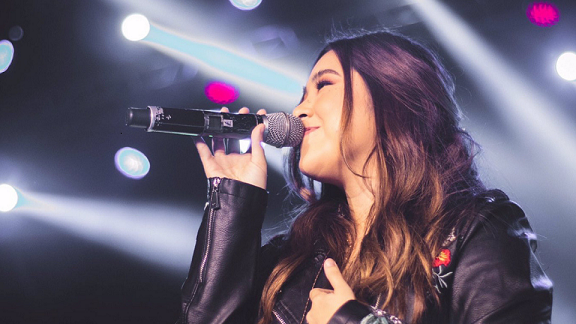 Moira dela Torre was body shamed onstage by a member of the audience during a concert on December 31. She turned to Twitter to unload her thoughts: "To the rude kuya shouting 'ang taba mo laki mo moira panget taba' while I was performing last night…I was so tempted to look at you & give you a piece of my mind. But I didn’t want anyone feeling how you made me feel. Even you." She continued, "Women are beautiful whatever size and may I be the last person you disrespect like that. May you learn to love yourself enough that you won't need to bring people down just to feel 'funny' or important. If ur reading this, I hope next year showers you love. Happy new year." Almost 70,000 fans attended the concert. In 2018 alone, she was recognized by various award-giving bodies, grabbing the Favorite Mellow Video from Myx Music Award and Best Female Recording Artist from Awit Awards, among others. Her response to body shamers deserves another award!